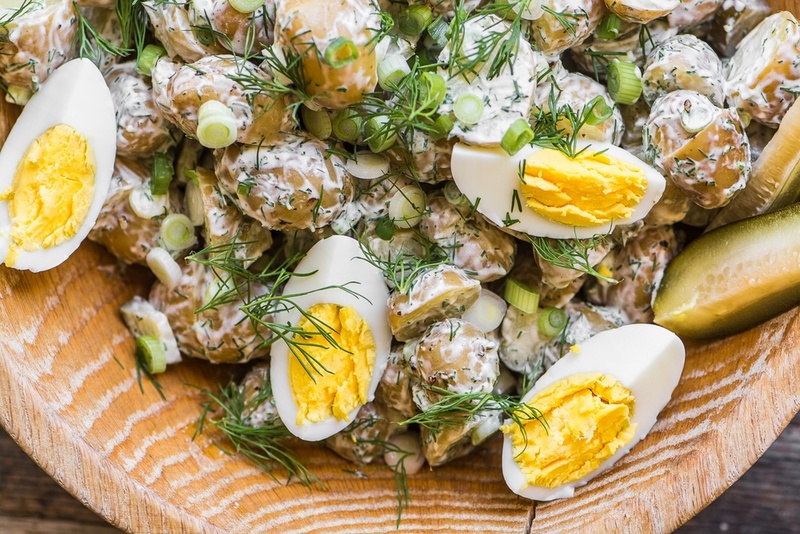 Dill Pickle Potato Salad ~ this creamy potato salad packed with pickles will become your favorite summer side, perfect for barbecues, picnics, and potlucks! Whisk the dressing ingredients together, and add salt and pepper to taste. Set aside. Put the potatoes in a pot with lots of cold water and bring to a boil. Lower the heat and boil gently until they are just tender. Drain and rinse in cold water to stop the cooking. Halve or quarter the potatoes, depending on their side, and put them in a large bowl. Toss with a generous amount of the dressing. Garnish with extra dill and chopped pickles.